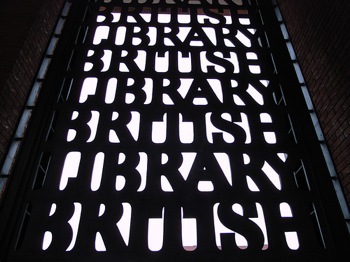 The British Library has released 3 million British National Bibliography records to the public via the CC0 public domain dedication. The British Library released a large set of their bibliographic data into the public domain via the CC0 public domain dedication. This set is from the British National Bibliography, which contains data on publishing activity from the United Kingdom and the Republic of Ireland since 1950, and comprises 20% of the entire British Library catalog. . The dataset currently consists of 3 million individual records. The data is also available for download at the Internet Archive under CC0: http://www.archive.org/details/BritishLibraryRdf. The British Library has surrendered its copyrights to 3 million British National Bibliography records via the CC0 public domain dedication. Agreements such as these are crucial to our community, as developments in areas such as Linked Data are only beneficial when there is content on which to operate. We look forward to announcing further releases and developments, and to being part of a community dedicated to the future of open scholarship. "We believe this vast dataset of bibliographic records – created and compiled by the British Library over many decades – has a range of applications far beyond its original purpose, its going to be exciting to find out the new uses that organisations and individuals can make of this data... As developments such as the semantic web create new and more effective opportunities for researchers to find, manipulate and link information, the availability of good quality data from a trusted source such as the British Library will become increasingly important." This page was last edited on 2 March 2011, at 01:34.